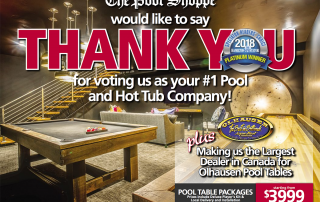 Thank you for voting us as your #1 Pool and Hot Tub Company in this year’s Readers’ Choice Awards for The Hamilton Spectator! Plus making us the largest dealer in Canada for Olhausen pool tables! Check out our flyer! 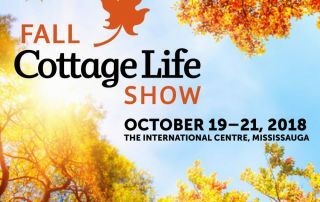 Visit us at the 2018 Fall Cottage Life Show! Check out this weekend's flyer!